For the creative community, the year 2011 has been a wild ride. This was the year of new cameras and emerging camera categories, an explosive array of desktop, mobile, and cloud-based software and services, a renewed focus on Web design and Internet standards, and much more. Here are just a few of this year's highlights. Expanded functionality and features were essential attributes of the digital camera market this year. No longer characterized by discrete products that perform only a single set of tasks well, each sector—from point and shoot to DSLR—branched out to deliver enhanced capabilities. 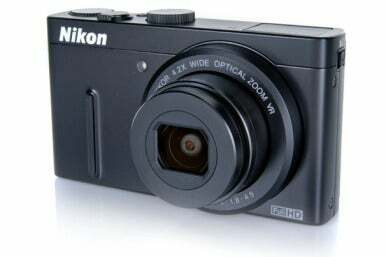 There were more popular camera sectors to choose from too, with the continued emergence of megazoom, mirrorless interchangeable lens cameras (sometimes called compact system cameras), and other hybrids and sub-genres. These products got plenty of attention, perhaps because there wasn't a vast profusion of DSLR launches in 2011. One major reason for the vast variety is video. In the recent past, high-end still shooters eschewed video: It was hard to do well, too time-consuming to view, and even harder to edit. No longer. Now, nearly all major consumer DSLRs feature 1080p video capability with their new models. Indeed, full HD video has emerged in just about every camera segment. While some aspects of shooting got simplified, more options were introduced at the low end. Over the last year, compact point-and-shoots acquired more manual controls and premium features. Canon's PowerShot S90 and PowerShot S95 kicked off that trend, followed by the S100, Nikon's Coolpix P300 (and the not-so-compact Coolpix P7100), and Fujifilm's X10 and more-expensive X100. The software video arena erupted with the release of Apple's Final Cut Pro X, the company's overhaul of its professional non-linear video editing software. Upon its release, a burning question emerged: Is the new FCP X a genuine professional video application or is it a glorified iMovie for advanced amateurs? Apple expected some pushback from its loyal but opinionated users, but perhaps not as much as it got. Initial lack of support for some of the industry’s popular hardware peripherals, and for some complex third-party software workflows that video pros had built over time around previous versions of Final Cut Studio, provoked a sharp, largely negative reaction from the community. 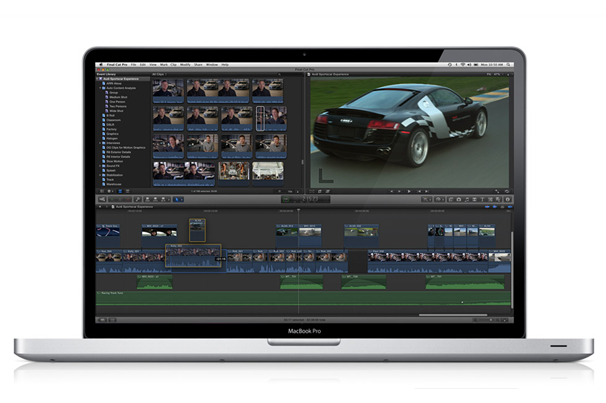 As Macworld's review noted, "Most of the features introduced in FCP X are welcome and badly needed. Some are long overdue. Still, others are positively jarring and require a change in mindset to appreciate." Two subsequent moves from Apple cooled down the furor, at least somewhat. The company issued the 10.0.1 update, which restored a number of professional features, and also decided to resurrect sales of the software's previous verison for those who still wanted it. For the record, when Macworld got its hands on the new program, we were fairly impressed with Final Cut Pro X, its tight integration with Motion 5 and Compressor 4, and its new pricing scheme. From the hardware side of the video universe, there was little to compare with the flip that Cisco pulled on the popular Flip series of camcorders. Hobbyist videographers (not to mention the rest of the planet) let loose a collective gasp of amazement when the company, after buying Flip's manufacturer for some $600 million, decided just two years later to shutter it. Naturally, competitors such as Kodak, Sanyo, Samsung, Toshiba, and others were not shedding crocodile tears at this development and continued to cheerfully unveil new camcorders at a brisk clip. While the ascent of HTML 5 and the concurrent descent of Flash technology was embedded into the collective consciousness in 2010, the trend accelerated this year. One of Adobe's most significant moves in 2011 was to drop the development of Flash for mobile devices. Despite the extraordinary surge of anger at Apple for shining a merciless spotlight on Flash's trans-platform technology issues, the trend away from it has now spread to the Windows 8 side too. Undaunted, Adobe moved ahead this year to unveil an assortment of new interactive design authoring initiatives. 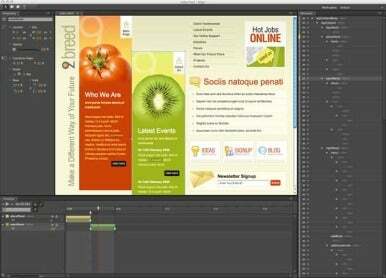 The company unleashed Adobe Edge, a motion and interaction tool that lets creative pros build Flash-style animated Web content, and Adobe Muse, which provides a standards-based take on visual Web design. The new Carousel photo editing and sharing app ventures into the cloud with some altogether respectable results. And while it's too soon to tell whether the effect will be for good or ill, Adobe also launched its software Subscription Editions program this year with Creative Suite 5.5, the first version of the company's transition to an annual release cycle. It was accompanied by the predictable boatload of controversy. A milestone release of the Creative Suite, presumably CS6, will arrive next year and will include an updated version of Photoshop, according to Adobe. And just in case we may have forgetten about it, Quark spent the last three years developing the 2011 upgrade to its desktop publishing app, QuarkXPress. With Quark 9 came something different, though hardly revolutionary in concept—App Studio, which lets designers create apps for the iPad. While there are a few neat new desktop publishing tricks in Quark 9, the bulk of the release is focused on App Studio (actually operational with version 9.1). Macworld successfully created a special title for the iPad as part of our review of the software, and on the whole, we found the update worth the wait. Also in 2011, Quark got sold, but the same team as before remains in place, and is now presumably freer to do more of what they want to do with the product. Wacom managed to boost its sector of the graphics tablet universe this year, letting loose new products at a swift pace. The new Inkling, a digital sketch pen and receiver, debuted in the fall to some fanfare. 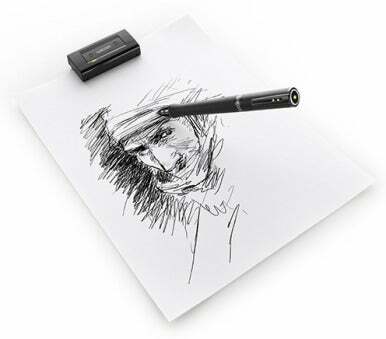 This hardware-software combo lets you draw on plain paper while the attached receiver captures your pen strokes. Despite some complaints about the software not yet being ready for prime time, overall the design community has been excited about the new gadget. Wacom has been a pen expert from the way back, but this year it offered a pen as a discrete iPad-based product. The Bamboo Stylus for iPad also opened to rave reviews. And then there were the slew of releases that impressively updated and improved on the entire Bamboo line and introduced the 24HD Cintiq. This year also saw an interesting CAD offering. While the computer aided design world generally stays pretty stable, with the usual players upgrading on a regular basis, Corel decided to throw a ball into the Mac court by introducing a brand new competitor: CorelCAD. It’s compatible with AutoDesk’s ubiquitous .dwg file format and is designed for folks who need a solid, professional app, but don’t want to part with a limb to acquire it. In digital photography, companies that rapidly innovate will reap rewards regardless of where they fall in the consumer spectrum. The question of whether the best camera (and camcorder) you own is the one that’s always in your pocket has never been more relevant. It will determine whether buyers will continue to go for the sub-$200 point and shoots that offer 1080p video or whether people will depend more and more on their iPhone 4 and 4S (or any new iPhone that Apple may release in 2012). The compact and mirrorless interchangeable lens camera segments will continue to progress, as hobbyist shooters seek a medium between basic point and shoots and DSLRs. There will be continued emphasis on video, and improvements likely at the high end of the DSLR market, especially in speed and performance. And while we're on the topic, will Fuji or Canon or both announce entries into the mirrorless interchangeable lens market in 2012? Next year, we will likely see even more emphasis on camera-based photo sharing. Manufacturers have tried Wi-Fi, but many implementations of the technology remain problematic. While there may not be a concrete resolution to sharing issues, camera vendors will continue to concentrate on it. On the design side, there will be even more emphasis on standards-based site creation and design and cloud services, continuing this year's trend. The disposition of iWeb, the relationship between iCloud and Web hosting as the era of MobileMe draws to a close, and the composition and timing of the next release of iLife are anyone's guess. Tape media can only be captured via Fire wire. Best hybrid stylus for writing, drawing, and navigation.